Why is West Ham's academy providing diminishing returns? Why is West Ham’s academy providing diminishing returns? Will West Ham ever return to the days where local lads played beautiful football among their peers, with many born close to the stadium itself? It’s highly unlikely, but that won’t stop a section of the support wondering what happened to the famed Academy of Football. In an era where many Premier League clubs sniff at the idea of buying players for less than £10 million, the idea of an established top-flight team being comprised of a majority of homegrown talent feels more like hopeless romanticism with each passing year. Few teams have relied on their academy as much as West Ham over the past few decades, as they produced many of the biggest stars in England. The money kept the team ticking over, while the players had the chance to learn from some of the best coaching staff in the country. The West Ham academy used to evoke memories of the past, as the team relied solely on training the players they already had at their disposal. They were flat out broke, so they made a conscious decision to improve what they already had. The idea was pioneered by Ted Fenton, who oversaw the construction of The Academy in the 1950s. Players would meet to discuss tactics opposite the stadium at Cafe Cassettari, ensuring they had a hot meal and the chance to improve their knowledge of the game. Many of the players went on to coach and manage independently, and most Irons supporters know the story well. It’s part of their make-up, although it’s starting to feel like a long distant memory. Even in more recent times, the academy provided much of the basis for successive league winners, even if Rio Ferdinand, Frank Lampard and the rest had to leave Upton Park to collect their medals. Then there’s the old adage that they’d have had one of the best sides in England over the mid-2000s if they’d only been able to keep the majority of their starlets when the predators came calling. The point is this: West Ham produced great players, and it’s clear that there’s been a fault somewhere in the production line in recent times. Relegation and financial pressures put paid to the idea of an all-conquering Hammers side, but it did give them breathing space, and ensured their continued existence during tough financial times. They always had the option of selling the next player to appear at the end of the conveyor belt, and they usually commanded a relatively large fee. The problem is, this time they’ve failed to regenerate, and it’s troubling to see them slipping down the table slowly after a good showing last season. Despite meme-inducing recent bids for rival players, the team have spent just under £90 million on transfers this season, and they brought in a number of personnel who were thought to be the real deal. European competition was on the agenda at the beginning of the campaign, although the might of Romania’s Astra Giurgiu was enough to see off the side for the second consecutive season in the Europa League qualifiers. A number of the youth team were on the pitch when they were dumped out of Europe, and despite 17 attempts on target, the manager admitted he was left frustrated as they were second best. 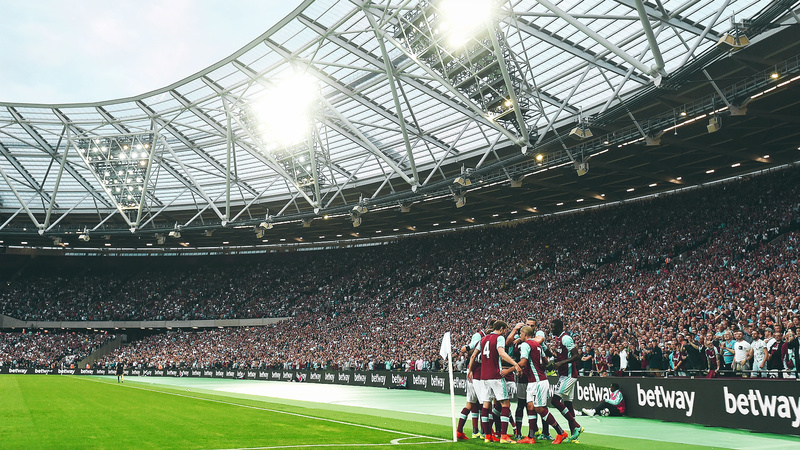 A loss of identity was one of the key problems put forward by supporters groups when their move to the London Stadium was first confirmed. 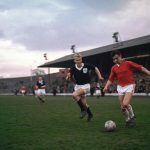 With ticket prices cheap enough to allow for the return of many that were priced out in the past, it’s no real shock to see supporters urging the club to try out their youth players. They’ve lost their former home, and they’ve also struggled to retain their sense of identity on the pitch itself. Then there’s the fallout following Dimitri Payet’s decision to leave the club, and the very public argument with his boss about the situation. It hasn’t been a good year when all things are considered, and it’s jarring when compared to pre-season expectations. Author of Goodbye to Boleyn and resident West Ham expert Pete May thinks that the previous manager has played a vital role in the decline of trusting the youth system over the past few years, naming the fleeting former England boss Sam Allardyce as one of the main reasons for their current lack of first team stars: “There was certainly a decline in youth promotion in the four years under Sam Allardyce. I think he sees youth players as too much of a risk in a results business, and is a pragmatic gaffer who has been in the game for a long time, but his lack of youth players certainly annoyed a lot of fans. He did give defender Reece Burke a chance and he’s performed well on loan at Bradford. “Slaven Bilić has been more willing to give young players a chance. He gave Reece Oxford his debut at 16 away to Arsenal last season and he performed really well in that win and he’s often had kids on the bench like Josh Cullen. The Europa League games have also given some younger players like Marcus Browne a bit of experience. Many of the prospects are bought from abroad though, such as Portugal’s Domingos Quina, Norway’s Martin Samuelson and Swiss star Edmilson Fernandes. A glance at their recent match day squads shows just Mark Noble representing the old guard of graduates, with Reece Oxford the only young player to recently make the grade. Tomkins ended up moving to Crystal Palace in the summer, Stanislas is at Bournemouth and Sears is on the books at Ipswich Town. 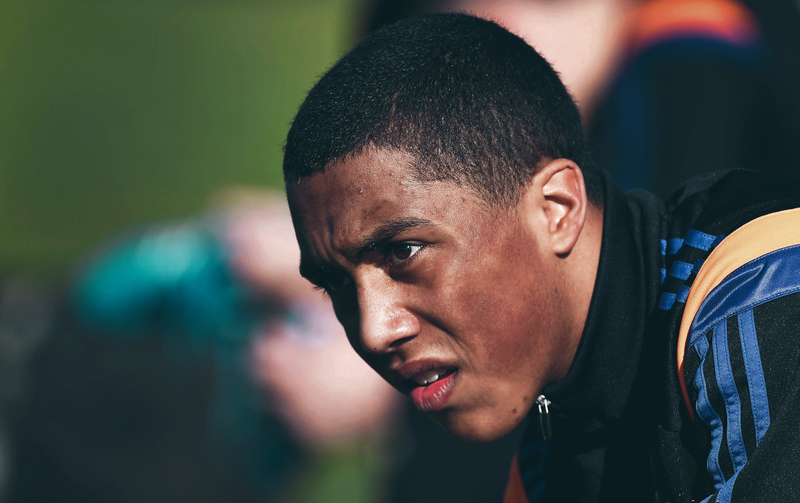 West Ham have a decent youth team, currently in the hunt for the title at under-18 level, but will these players ever get a chance to represent the senior side or will the concept of homegrown talent be consigned to the history books? May is right in that local players are preferred if possible, but how can anyone turn down the prospect of bringing in the next Héctor Bellerín, or even the next Dimitri Payet? Then again, if Payet really was one of their own, would he have forced a move away with such vigour? It’s hard to imagine that a player in the mould of Harry Kane would do the same, although comparisons are difficult because each footballer is a unique commodity, with a different temperament and ideals. The manager picks the team and that’s why they’re inevitably held to account for the final result. 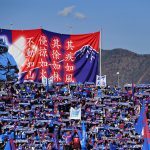 For supporters who aren’t happy unless the team play a particular style of football, it’s tough to see a close-knit set of fans being split from the squad they cheer on from the sidelines. Relegation is a scary prospect for all involved, but the club wouldn’t have to lean on their youth system, as parachute payments could provide some of the best players to battle back via promotion. 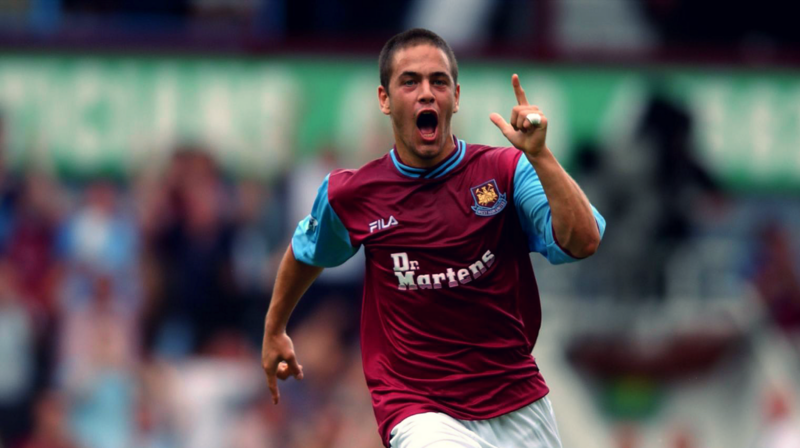 Read | Is West Ham’s class of 2003 the best to ever get relegated? There’s no sense that the Hammers will begin to look inwardly for answers to recent struggles with form. Their scouting system is good enough to unearth gems like Payet, although hanging on to them could prove to be the hard part in the long-term. There are misses to go along with the hits, but younger players do get opportunities here and there. Considering the money at stake, it makes sense to hedge bets where possible. So, with 2017 in full swing, what should we expect from the Irons? Like the prospect of a holiday tipple before midday, the decision to ignore youth could prove to be a mistake in the grand scheme of things. Their manager looks to have shaken off the rumours of his potential dismissal, while there’s no real call for the academy despite the mixed results from their summer signings. Bournemouth have shown that a team of homegrown players and choice acquisitions can flourish in the Premier League, while last year’s Leicester or the current Chelsea squad are proof that tactical acumen and managerial skills can prove to be the difference if there’s a gulf in class compared to the opposition. Tradition doesn’t seem to mean much in the Sky era, and progress tends to lead to many bittersweet tears over a quiet pint, but it’s better than bidding ridiculously low amounts for rival players or having public spats with the talent you’ve built your team around. No matter the manager, it’s down to the coaches to work with what they have for the majority of the season, and managers like Mauricio Pochettino and Antonio Conte have shown that the right personnel for the job might not always make sense on paper. Everton are moving forward with a couple of youth players in the side, and it gives their supporters further cause to look to the future safe in the knowledge that they have at least a few decent players waiting on the sidelines. West Ham could do with the same comfort, given their history of giving the kids a chance. The academy doesn’t have to form the spine of the team, and the cyclical nature of football mean that we probably haven’t seen the last England international trained at Little Heath. That doesn’t mean that they shouldn’t continue to improve the players at their disposal, but it’s more important to worry about the here and now. The team reported that there was no financial pressure to sell Payet, and it’s clear that they’ve moved on from their belt-tightening past. When they were close to the drop back in 2011, they were thought to be too big to fail. There was no bailout as they slipped through the trapdoor, but there’s no real threat of relegation for Slaven Bilić’s side this season. If they continue to hang around the mid-table spots, it could be a chance for the youngsters to prove their worth with less at stake than a knockout tie against decent European opposition or a dead rubber cup tie. At least the manager is open to the idea in the first place.